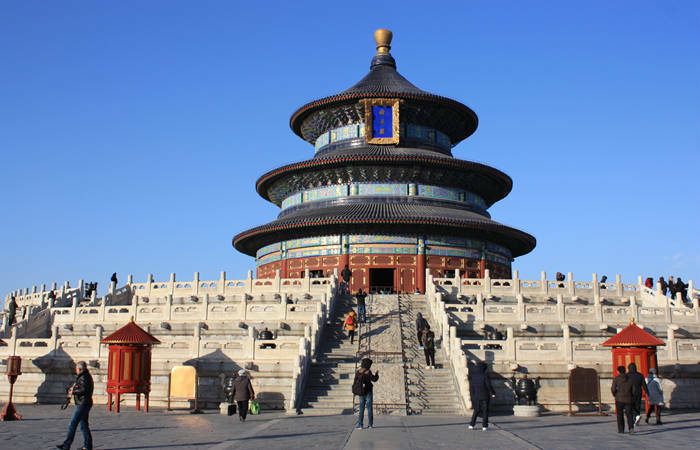 A day tour to capture the essence of Beijing’s imperial culture by visiting the classic attractions. Tour available every day except Monday. There are no unwelcome factory or tourist shop visits. 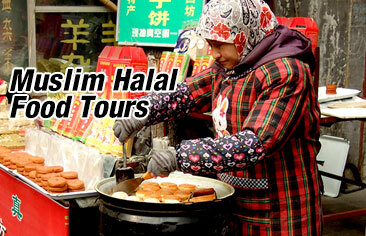 Detailed Itinerary: In the morning, make your way to Grand Hotel Beijing (Address: No. 35 East Changan Street, Dongcheng District, Beijing. The nearest subway station is Wangfujing on Line 1, exit C) for pickup at 8:30AM. Once your group is on board the coach, you will be transferred for the largest public square in the world - Tiananmen Square as our first destination. 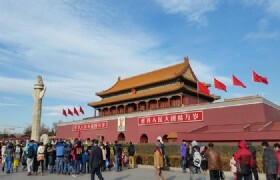 Tiananmen Square is named after Tiananmen Gate which is the entrance to the Forbidden City. 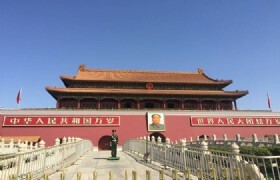 As the world’s third largest square, Tiananmen Square occupies 440,000 square meters and has witnessed some of the most significant events in China’s history. Next head for the Taimiao (Imperial Ancestral Temple), a historic site just outside the Forbidden City. It held the most important festival occasions during both the Ming and Qing Dynasties. From here you will make your way to the Meridian Gate, front entrance to the Forbidden City and begin your 4-hour in-depth journey in the palace. The Forbidden City is the best preserved imperial palace in China and the largest ancient palatial structure in the world. The tour covers the West, East and Central Line where you visit the corner towers, museums, royal gardens, royal family residence and more. During this 4-hour visit (regular group only visit the Central Line with 2 hours), immerse yourself in the splendid architecture of the Forbidden City which represents the essence and culmination of traditional Chinese architectural accomplishment. Relax over a Chinese lunch in a local restaurant, then take a 40-minute drive to the Summer Palace, the largest and the most well-preserved royal park in China. It is famed as “The Museum of Royal Gardens”. You can take the 30-minute boat trip via famous Empress Cixi Water Way to get into Summer Palace at your own expense. Listening to the lively introduction by our knowledgeable guide, you will be captivated by the harmonious balance between natural landscape, stream, water, and artificial structures including pavilions, bridges, and halls during the 1.5-hour journey. Tour concludes at around 5:00pm and you will be dropped off at the closest subway station and return to your hotel by yourself. * This Tour is available every day except Monday. * Please note that the hotel service is not available. * Children aged between 3 & 11 or senior should bring along their passports or identity cards and present for entry.